The Norfolk Broads may look natural, but they are actually man-made, the result of inundated peat diggings. Research in the 1950’s revealed that the sides of the deep lakes were vertical and not gently sloping as would be expected of a naturally formed lake. 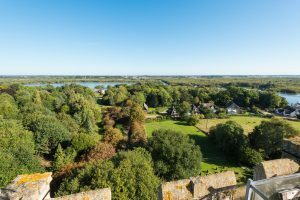 In the 12th century the population of east Norfolk was growing rapidly and the area was documented to be the most densely populated in Britain. Materials for living were scarce; timber and fuel supplies were drained as much of the woodland areas were cleared and a new source of fuel needed to be found. 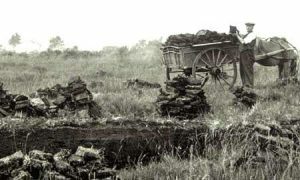 It was at this time that peat digging, also known as ‘turbary’, was tapped into and this provided a suitable fuel alternative. Digging took place throughout all the east Norfolk settlements until the 14th century, when finally nature overcame man’s force. The massive holes that had been created gradually began to fill with water as the sea levels rose. Flooding was taking place on a regular basis and peat extraction was simply no longer possible. As these ‘holes’ began to fill the now popular tourist destination of The Norfolk Broads was starting to form. Over 200 km of navigable Broads and rivers were created by peat digging and these provided essential channels for communication and commerce throughout the 16th century. Norwich was the second largest city in England after London and its tradable goods of wool, weaving and agricultural produce were exported throughout the world from the port of Great Yarmouth. The waterways were also used to transport coal, bricks, timber and tiles. The boats that plied these routes were Norfolk Wherries, with their single black sail, and smaller, square-sailed keel boats. Today the Norfolk Broads can still evoke a sense of disbelief in new visitors. 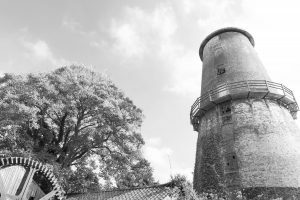 For those wishing to discover more about the fascinating history of the Norfolk Broads visit the Museum of the Broads in Stalham where you can see how the mystery was solved and the tools used in the traditional trades including thatching.